Looking for the complete solution? Comprehensive antimalware, with web filter, firewall and Botnet protection. Award-winning antimalware without system slowdowns, plus remote administration. Powerful cross-platform antimalware protection for Linux desktop systems. Push settings to your business iPhones and iPads, and secure them with anti-theft. Cross-platform antimalware protection against shared-file and host-system infection. 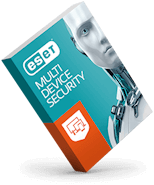 ESET NOD32 technology that protects VMs and frees up system resources. Security that blocks malware and suspicious web and FTP traffic at the perimeter. Safeguard your email with simple set-and-forget protection against malware and spam. Complete mail server protection and antispam utilizing minimal system resources. Security from malware spread via SharePoint that targets Windows, Mac or Linux. A fast, agent-less security solution for your VMs. Same tools and security as in a physical environment, plus boosted scanning speed. Cloud-based security management saves you money and saves your IT administrators’ time. Cost effective solution to manage virtual, physical & hybrid environments. Deployment, monitoring and performance seamlessly integrated with Autotask AEM to protect endpoints. In-built install and activation capabilities to protect your customers' networks within minutes. EDR tool detects APTs, targeted attacks, file-less attacks plus risk assessment, forensic investigation. Meets data security obligations with easily enforced encryption. Keeps productivity high. Comprehensive, reliable backup and recovery software protects entire business environment. Helps secure enterprise, government and critical infrastructure IT operations. Certified training improves the skill-set of your sales force and customer care representatives. Fast, seamless customer support for all new deployments or upgrades. Extends your security intelligence from local network to global cyberspace. Gives you 365/24/7 access to customer care specialists with years of experience in IT security. Search service through networks to detect and isolate threats evading security solutions. On-demand threat investigation, root cause analysis and remediation advice. Up-to-date security for operations with very limited internet access.